The flagship company of USD 13 billion JSW Group, JSW Steel is one of India’s leading integrated steel manufacturers with a capacity of 18 MTPA. It is one of the fastest growing companies in India with a footprint in over 140 countries. With state-of-the-art manufacturing facilities located in Karnataka, Tamil Nadu and Maharashtra, it is recognized for its innovation and quality. JSW offers a wide gamut of steel products that includes Hot Rolled, Cold Rolled, Bare & Pre-painted Galvanized & Galvalume®, TMT Rebars, Wire Rods and Special Steel. JSW Steel continues to enhance its capabilities to meet the rapidly changing global market needs. To stay on the leading edge of technical advancement, JSW has entered into technological collaboration with JFE Steel Corp, Japan to manufacture high strength and advanced high strength steel for the automobile sector. JSW Steel has also entered into a joint venture with Marubeni-Itochu Steel Inc. Tokyo, to set up a state-of-the-art steel processing centers. To strengthen its global network, the Company has also acquired a Pipe and Plate making steel mill in Baytown, Texas in USA. 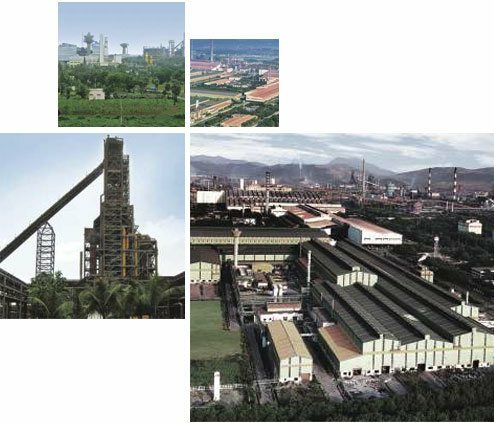 Going forward, JSW Steel aims to produce 40 million tons of steel annually.